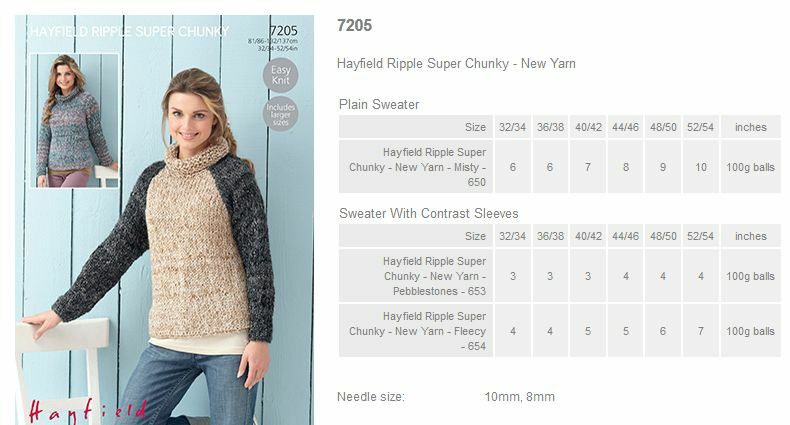 7205 - Plain Sweater and Sweater with Contrast Sleeves using Hayfield Ripple Super Chunky Leaflet with designs for a Plain Sweater and Sweater with Contrast Sleeves using Hayfield Ripple Super Chunky. 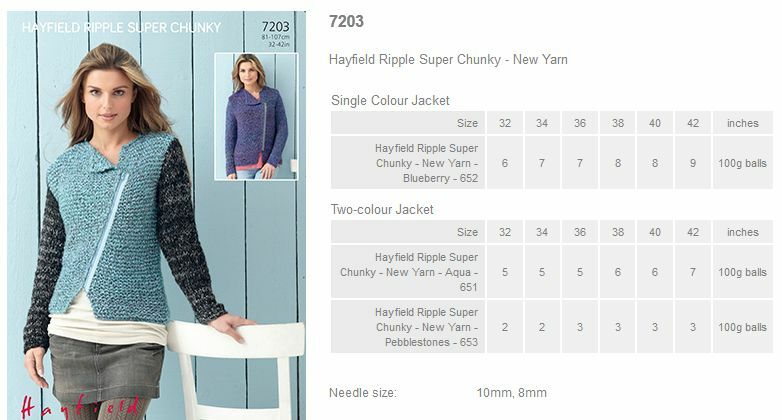 7203 - Single and 2 Colour Jackets using Hayfield Ripple Super Chunky Leaflet with designs for a Single and 2 Colour Jackets using Hayfield Ripple Super Chunky. 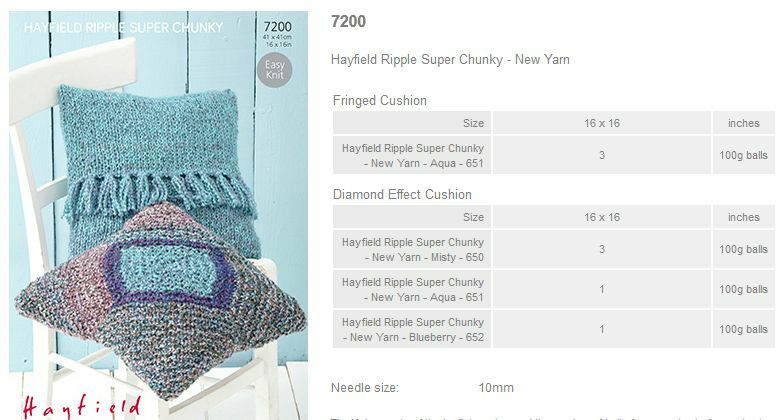 7200 - Fringed Cushion and Diamond Effect Cushion using Hayfield Ripple Super Chunky Leaflet with designs for a Fringed Cushion and Diamond Effect Cushion using Hayfield Ripple Super Chunky. 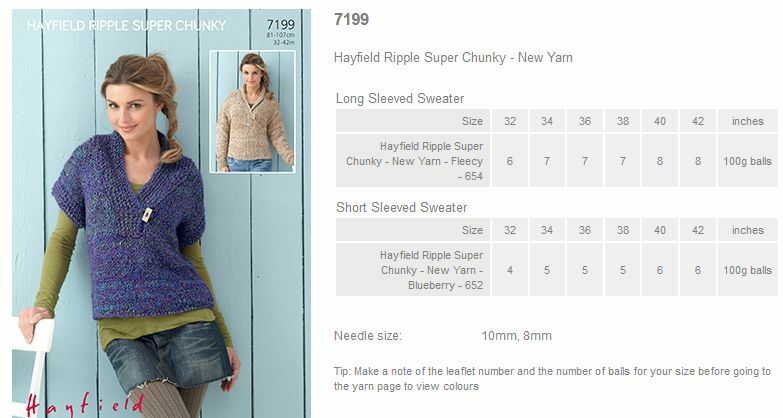 7199 - Long Sleeved Sweater using Hayfield Ripple Super Chunky Leaflet with designs for a Long Sleeved Sweater using Hayfield Ripple Super Chunky. 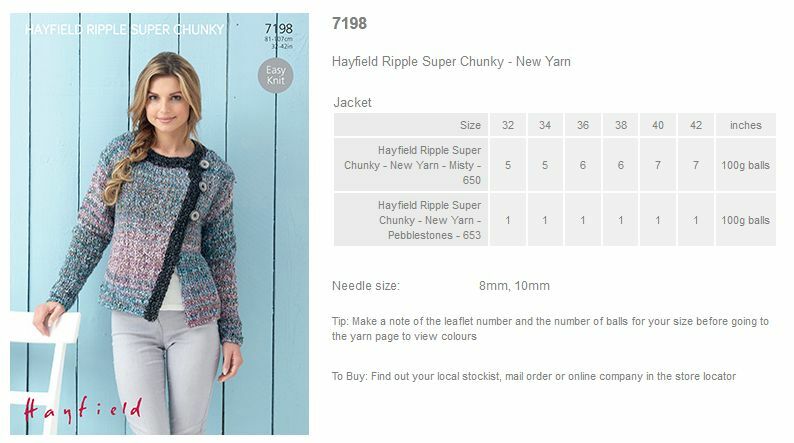 7198 - Jacket using Hayfield Ripple Super Chunky Leaflet with designs for a Jacket using Hayfield Ripple Super Chunky.